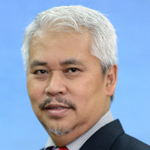 Professor Dr. Tunku Kamarul Zaman is presently the director of University of Malaya Medical Centre (UMMC), a premier 1500 bedded university hospital in Malaysia staffed by over 5,000 personnel. 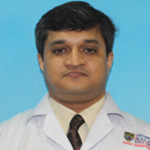 He is by profession an orthopaedic surgeon with special interest in upper limb and microsurgery. He obtained a medical degree (M.D.) from the National University of Malaysia in 1998. After serving the Ministry of Health as a medical officer, he entered the Masters of Orthopaedics specility training program i.e. M.S. (Ortho), in University of Malaya in 2000 and was later inducted as a lecturer in the same university upon completing his training in 2004. He also obtained a diploma in tissue banking from National University of Singapore in 2003 during his specialist traininng. Upon completing his sub-speciality rotations, he was awarded a national scholarship to pursue his sub-specialty training in the Royal Liverpool and Broadgreen hospitals from 2006 till 2010. During that period, he also obtained a PhD degree from The University of Liverpool. He is presently registered with the medical councils in the UK and Malaysia. Upon his return to Malaysia in 2010, he was appointed the head of the tissue engineering group, a division under The National Orthopaedic Centre for Research and Learning (NOCERAL). Pain Management, Technology for exercise and rehabilitation, (Functional Electrical Stimulation, Virtual Reality Rehabilitation), Exercise for spinal cord injury and persons with disabilities. Dr Nazirah is also engaged in Health Promotion for persons with disabilities. 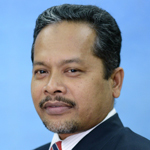 Mr. Iskandar bin Ahmad is the Deputy Director (Management) of University Malaya Medical Centre (UMMC). He is by profession an Administrative Officer (JUSA C). He obtained his Bachelor of Arts (B.A Hons) Degree, from the National University of Malaysia (UKM) and Masters of Public Administration, University of Malaya (UM). Currently, he is a member of UKM and UM Alumni. 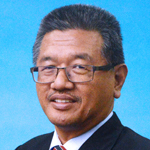 Before joining UMMC in 1990, he had also served at the​ Selangor State Secretary Office from 1981 in the areas of Finance, Internal Audit, Budget and Services. With over 30 years of service, he has broad experience in public relations, development, training, inventory supply, procurement and organizational management. In 1999, he had an opportunity to attend the Hospital Administration and Health Services Management Program in Japan organized by Japan International Cooperation Agency (JICA). He also attended The Trainer Certification Course and was recognized as a Professional Trainer (UK Certification) by SMR HR Group. 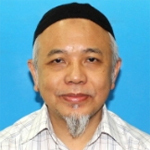 Furthermore, he contributed to society as a Committee Member of Parent Teacher Association (PTA) at Sekolah Menengah Agama Tinggi Tengku Ampuan Jemaah and Surau Al-Hidayah, Perdana Height, Shah Alam, Selangor. He has been awarded with the Johan Mahkota Wilayah (JMW) from Seri Paduka Baginda Yang di-Pertuan Agong Almu’tasimu Billahi Muhibbuddin Tuanku AlHaj Abdul Halim Mu’adzam Shah Ibni AlMarhum Sultan Badlishah in conjunction with the Federal Territories Day celebration on 1st February 2016. 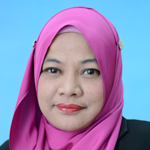 Associate Professor Dr Azura Binti Mansor's area of expertise is in orthopaedics (trauma, orthopaedic oncology). 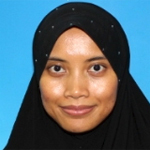 She is a member of the Malaysian Orthopaedic Association, University Malaya Medical Alumni, and Malaysian Medical Association. 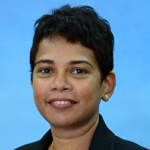 She had begun her career with the Ministry of Health in 1998 and has also served in Singapore. Recent publications include works in European Cells and Materials Clinical Orthopaedic Related Research. 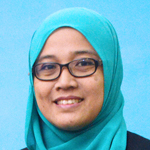 She is an active researcher and has received thirteen awards including a prestigious Petronas Medical Scholarship. She contributes to society by hosting health clinics for Kajang prison women inmates, Rotary Club health camps and Blind Leading the Blind. 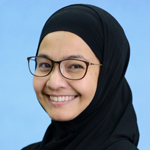 Professor Dr Azlina Amir Abbas's area of expertise is orthopaedics (hip and knee replacements, trauma and autologous chondrocyte transplantation). 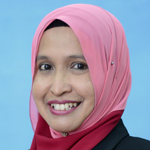 She is a member of numerous international and national professional bodies, including Malaysian Orthopaedic Association, Malaysian Association for the Study of Pain, ASEAN Arthroplasty Association, International Association for the Study of Pain and American Academy of Orthopaedic Surgeons. 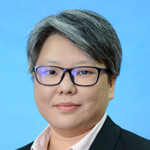 She started her career as a Medical Officer with the Ministry of Health, Malaysia, in 1998 and has completed a fellowship in hip surgery with Chonnam National University Hwasun Hospital in South Korea in 2008. She has recently contributed to a number of books including “Hip Surgery: Instructive Case Collection and “Fracture Management: Basic Principles & Surgical Approaches. 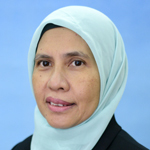 Her works have been published in various academic journals such as Clinical Orthopaedics and Related Research, Journal of Arthroplasty, Journal of Orthopaedic Research and Malaysian Orthopaedic Journal. She is an active researcher in the field of orthopaedics, chondrocytes and stem cell research. She has won numerous awards including a Gold Medal, three Silver Medals, and a Special Award - Best in Cluster (Bioscience & Biotechnology) at Ekspo Penyelidikan Rekacipta dan Inovasi, Universiti Malaya 2009, and the ASEAN Orthopaedic Association Junior Traveling Fellowship in 2009. She has also received the Excellence in Service award by University Malaya. She regularly presents and speaks with regards to her area of expertise. She regularly volunteers her services through MERCY Malaysia, has hosted health clinics for Kajang prison women inmates, has taught English to Korean doctors in Chonnam National University Hwasun Hospital, and participates in community events with the Malaysian Orthopaedic Association and many others. 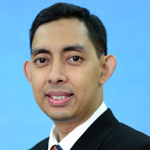 Assoc Prof Dr Muhammad Yazid Jalaludin was born in 1972 in a small town, Lenggong, Perak. He received his primary education at SRK Bukit Balai, Lenggong and SRK Anglo Chinese School, Ipoh before going off to MARA Junior Science College Balik Pulau, Penang, for his secondary education. He then continued with the foundation study in science at Pusat Asasi Sains, University Malaya. 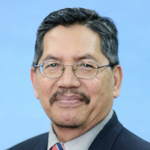 Prof Yazid completed his fellowship in Pediatric Endocrinology and Diabetes at Children’s Hospital of Philadelphia (CHOP), USA in 2009 after obtaining his MBBS in 1997 and Masters in Paediatrics in 2004, both from University Malaya. In 2010 he was awarded as a Certified Paediatric Endocrinologist by the National Specialist Register (Malaysia). Prof Yazid joined Ministry of Health as a House-officer from June 1997 to Dec 1998 and as a Medical Officer from Dec 1998 to June 2000. 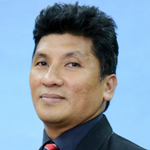 He then joined University Malaya as a Trainee Lecturer in 2000 and later as a Lecturer in 2004. In 2007, he was appointed as a Senior Lecturer. 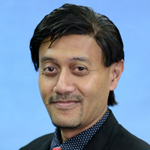 He is currently a Consultant Paediatrician and Consultant Paediatric Endocrinologist at the University Malaya Medical Centre (UMMC) who specializes in endocrine and diabetes management in children, and an Assoc Professor at the Faculty of Medicine, University Malaya. For his excellent service, he was awarded Excellence Service Certificate by University Malaya in 2006 and 2010. 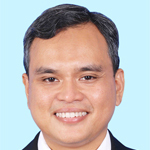 He has been a member of various medical societies, including The Endocrine Society USA, International Society for Paediatric and Adolescent Diabetes (ISPAD), Asia Pacific Paediatric Endocrine Society (APPES) and the Malaysian Endocrine and Metabolic Society (MEMS) as well as a life-member of the Malaysian Paediatric Association (MPA). 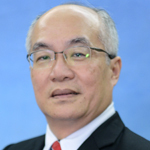 He is currently the Council Member of the Asia Pacific Paediatric Endocrine Society (APPES), the Malaysian Endocrine and Metabolic Society (MEMS) and the Malaysian Paediatric Association (MPA). With research interest in diabetes, obesity and vitamin D in children, Prof Yazid’s work has been published in various academic journals and as textbook chapters. He has numerous experiences presenting in conferences and workshops locally and abroad. He had previously received Travel Grant Awards to the International Society for Paediatric and Adolescent Diabetes (ISPAD) Meetings in Slovenia (2009), Argentina (2010) and Turkey (2012), and to the Endocrine Society’s 91st Annual Meeting in Washington DC, USA (2009) where he was awarded the winner of the Presidential Poster Presentation. He also won the Best Poster Presentation at the International Society for Paediatric and Adolescent Diabetes (ISPAD) Meeting 2012, in Istanbul, Turkey. 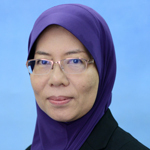 Professor Dr Marzida Binti Mansor served as the Secretary to the Malaysian Association for the Study of Pain, and Exco Member of the Malaysian Society of Anaesthesiologists. 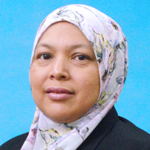 She is affiliated to the Asia Pacific Hospital Care Network, Faculty of Pain Medicine, Australian and New Zealand College of Anaesthetist, Kesatuan Ahli Akademik Perubatan UM, Malaysian Society of Anaesthesiologist and Malaysian Medical Association. 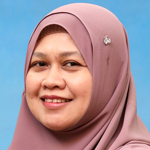 She started her career in 1991 at the Tunku Ampuan Rahimah Hospital. She majored in anaesthesia and critical care (cardiac anaesthesia, acute and chronic pain management, cardiopulmonary resuscitation, orthopedic anaesthesia, medical Simulation) and minored in airway management. Recent publications include contributions to books and academic journals such as Brazilian Journal of Microbiology and Fitoterapia 81. She is an active researcher and has received multiple awards for her contributions. 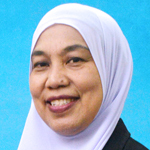 Professor Dr Siti Zawiah Binti Omar started her career as a Graduate Medical Officer with the Ministry of Health, Malaysia in 1987. 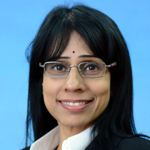 Her areas of expertise include Management Of High Risk Obstetrics Patients, Reproductive Endocrinology Particularly In The Management Of Menopausal Women, Hormone Therapy And Osteoporosis and Gynaecologic Oncology. Recent publications include contributions to a book : Management Aspects of Acute Care , Kuala Lump, University Malaya Publication and academic journals : Curr Opin Obstet Gynecol and International Journal of Gynaecological Cancer. 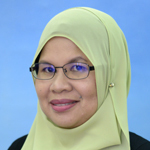 Associate Professor Dr Nurliza Binti Khaliddin is a member of various professional bodies, both nationally and internationally. 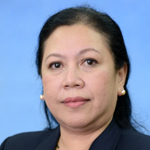 She had begun her career at the Ministry of Health in Malaysia in 1996 and had served in Malaysia as well as the Royal Children's Hospital in Victoria. Her areas of expertise are paediatric ophthalmology, ophthalmology, and glaucoma. She has contributed both to books and journals, the latest being a book entitled Paediatric Glaucoma. Reduce Unnecessary Blindness, published by Save One Sight Enterprise and the journal of Neuro-Ophthalmology. 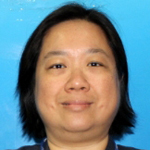 Her research interests includes allergic conjunctivitis and dry eyes, identification of MYOC and OPTN gene mutation in JOAG, retinopathy of prematurity, Shaken Baby Syndrome and laser treatments of proliferative diabetic retinopathy and diabetic maculopathy. She also speaks and presents on her areas of expertise. Her expert contributions includes being the editor of the Master Ophthalmology Guidebook, Department of Ophthalmology and the Conjoint Board of Ophthalmology. 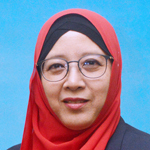 Her contributions to society includes the UM wellness Program, being the editor of Malaysian Medical Society Ophthalmological Society Souvenir book entitled MMA OS: 45 years of Glory, and participation in the World Sight Day in collaboration with Lions Club. 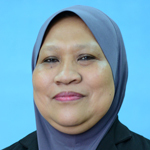 Associate Professor Dr Nazarina Binti Abdul Rahman started her career in 1985 in the Ministry of Health, Malaysia. 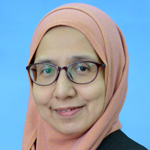 A former member of the National Cancer Council and Academy Of Medicine Of Malaysia, she is now an Associate Professor at the Department of Pathology in UM, supervising Doctoral Degree and Masters Degree in Diabetic nephropathy, Histopathology and more. 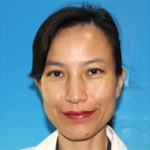 She was a Co-Investigator in the research on Prognostic and predictive applications from mechanisms of neoplastic cell immortalisation and malignant tumour progression (2005-2008). 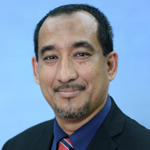 Dr Mohd Nahar Azmi Mohamed is the Head Department, Senior Academician and Consultant Sports Physician in the Department of Sports Medicine, University Malaya Medical Center. Dr Nahar is also a visiting Consultant Sports Physician at National Sport Institute and one of the Panel Board Members at National Coach Academy. He is a certified Aerobics Instructor and Master Trainer obtain from Ministry of Youth and Sports since 2005. Dr Nahar undertook his training in Sports Medicine between 1999 to 2003 at University of Malaya and join as a full time Academician from 2003 till to date. He then received his appointment as Associated Professor in Sports Medicine since October 2015. He is currently manages Sports Injuries and Sports Rehabilitation but his interest is more on Exercise Prescription especially those in moderate to high-risk group. 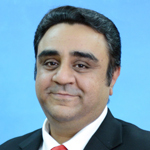 Dr Nahar involve in a number of research and has published numerous papers in peer-reviewed journals. His current research study involve a group of Breast Cancer and Prostate Cancer patients. His involvement is not only in Academic and Research but he also has passion in creating a healthy lifestyle awareness for staff and patients in University Malaya Medical Center. He organised an Aerobics and Zumba session for staff twice a week, morning exercise for Hospital Management and Head Department twice a week. He also created an Exercise Support Group for Cancer Survivor in 2014 and till to date has received an overwhelming response from Cancer Survivors. Dr Prashant Samberkar is a qualified Pathologist from Mumbai University. He has more than 18 years experience in the field Forensic Pathologist. In his capacity as an Associate Professor to the Department of Forensic Pathology, University Malaya Medical Centre (UMMC), he conducts autopsies, crime scene examinations and gives evidence in the courts of Malaysia. As an academician he is profoundly occupied in lecturing and training undergraduate and post graduate medical student. As a respected clinician his contribution to Forensic Pathology was recognized in Fiji Islands and he was awarded the Excellent Service Certificate for two consecutive years. He is on the Organ Transplant Committee at the UMMC and recently has joined as a member with the Malaysian Medical Association. He is also a life member with the Indian Medical Association. He has interest in Research, has publications in International Academic Journals and very recently has contributed photographs to the latest edition of Modi's Textbook of Medical Jurisprudence and Toxicology. During this tenure spanning nearly two decades he had the opportunity to execute more than 5000 autopsies, numerous crime scene examinations and court appearances as an expert witness. This has allowed him to acquire a better understanding of the legal systems around the globe and sharpen his skills in providing reliable, impartial and evidence based opinions on numerous criminal cases, medico-legal documents and issues related to Iatrogenic Hospital Deaths leading to litigations. 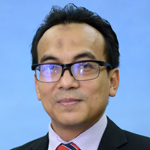 Associate Professor Dr Khairul Azmi Bin Abd Kadir started his career in 1997 and is now a Medical Lecturer and Acting Head Of Department in the Department Of Biomedical Imaging at UM. 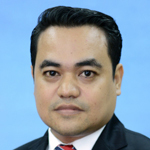 He is a member of the Interventional Radiology Society Of Malaysia and specializes in Radiology (Neurointerventional Radiologist, Neuroradiology and General Interventional Radiology). He has contributed to various publications such as the Journal of Clinical Neuroscience and ISI prestigious journal. His consultancy experience include being a Clinical Consultant from 2008-2012 at the Expert Advisor For IGMIC(Image Guided Minimally Invasive Center) organized by PPUM. He has spoken at various international events such as the 2nd Neuro Ophthalmology Symposium in 2010 and 2nd ISEC's International Scientific Meeting Oculoplastic Symposium in 2009. 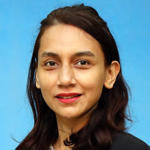 She obtained her MBBS from Manipal Academy of Higher Education, Manglore, India in 1997 and Masters in Internal Medicine from University Malaya in 2006. 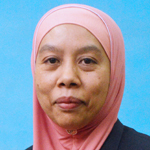 She completed her training in Infectious Diseases in University Malaya and has been accredited as an Infectious Diseases Physician in the National Specialist Registry . She also has a Certificate in Travel Health from the International Society of Travel Medicine (2012). 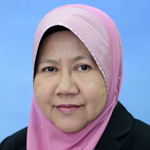 She is a member of the Academy of Medicine Malaysia and various other national and international societies. She has published in peer review journals and was on the writing committee for the recent National Guidelines on the Management of HIV in Adults (2011). She is also involved in various research pertaining to infectious diseases. 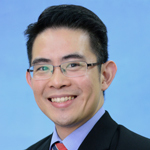 Dr. Alexander Tan graduated from the University of Liverpool in 2001 and obtained his MRCP(UK) in 2005. 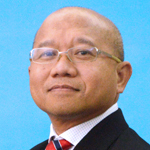 He is currently a consultant endocrinologist and senior lecturer at the University of Malaya Medical Centre. He has a particular interest in comprehensive care models for Type 2 Diabetes Mellitus and has conducted research in the fields of epidemiology of Diabetes in Malaysia, novel anti-diabetes drugs, vitamin D, obesity and the metabolic syndrome. 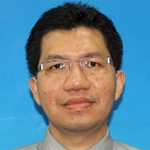 He is a committee member for the Malaysian Osteoporosis Society and is also a member of the Malaysian Endocrine and Metabolic Society and Diabetes UK. He frequently gives talks at national level conferences. 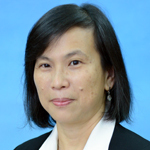 Professor Dr Thong Meow Keong studied medicine and trained in Paediatrics at the University of Malaya. He underwent training in genetics in Singapore and established the first Genetics Clinic at the University Hospital Kuala Lumpur in 1995. He spent three years working in the field of clinical genetics in Australia as a Fellow in Clinical Genetics at the South Australian Clinical Genetic Service at the Women and Children Hospital, Adelaide for two years and later, as a Senior Fellow at the Victorian Clinical Genetic Services of the Murdoch Childrens Research Institute in Melbourne, Australia. He returned to Malaysia in 2000 as the first clinical geneticist in Malaysia, certified by the Human Genetics Society of Australasia. He established and headed the Genetics & Metabolism Unit at the Department of Paediatrics, Faculty of Medicine, University of Malaya. In 2003, he was awarded the 8th Royal College of Physicians of London and Academy of Medicine of Malaysia Annual Research Award. He was also the Visiting Fulbright Scholar (2003/2004) at the National Center for Birth Defects and Developmental Disabilities, Centers for Disease Control and Prevention, Atlanta, United States of America. The World Health Organization (WHO) and March of Dimes consulted him on Management of Birth Defects and Haemoglobin Disorders in 2006. In 2007, the Australia-Malaysia Institute awarded him the Australia-Malaysia Fellowship in Research Excellence. 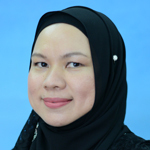 Dr. Hasniza Zaman Huri obtained her PhD (Clinical Pharmacy, Human Genomics & Pharmacogenomics) and Master in Clinical Pharmacy from Universiti Kebangsaan Malaysia and B. Pharm (Honours) from University of Malaya. 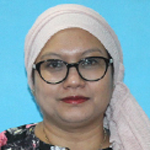 She is currently a Senior Lecturer in Clinical Pharmacy and she lectures the clinical pharmacy, pharmaceutical biotechnology and pharmacology modules. 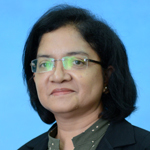 Her research areas cover optimal management of type 2 diabetes mellitus, insulin resistant study (HOMA models), pharmacogenomics - pharmacodynamics (single nucleotide polymorphisms using PCR/RFLP methods, haplotype analysis, gene interaction study) and gene - disease - drug response modelling. 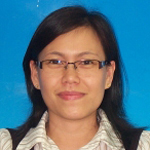 Her research interests also include general endocrinology, urology and obstetrics & gynecology disorders. She has published papers in peer reviewed journals related to optimal management, drug - related problems and gene polymorphisms in type 2 diabetes mellitus patient s. She has also presented her research at local and international conferences. Dr. Rampal is a public health specialist and preventive medicine physician. 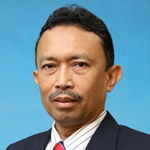 He is an Associate Professor of Epidemiology and Biostatistics and heads the Department of Social and Preventive Medicine, Faculty of Medicine, University of Malaya. Dr Rampal was medically trained in India and served in the Ministry of Health Malaysia from 1998 to 2005. The clinical experiences from his early medical career helped him realize that treating one patient at a time was not sufficient and more could be done by intervening at a population level. He improved his basic epidemiology and biostatistics knowledge by completing a MPH degree in 2004 from Harvard University. He joined University of Malaya in 2005 with the idea that intervening at the graduate level would improve the research skills of the medical and public health community. He completed his PhD in Epidemiology from Johns Hopkins University in 2014. His research work focuses on the epidemiology and prevention of non-communicable diseases. He is particularly interested in elucidating their roles as common upstream factors utilizing common major pathways leading to the different Non Communicable Diseases. He hopes to further leverage this information to better design and implement more "Horizontal" prevention programs that ultimately would reduce the number of new patients seen by our healthcare system. His methodological interest includes improving causal inference, epidemiological designs, regression models, multiple imputations, measurement error, and propensity scoring. Dr Rampal actively lectures at University of Malaya and is supervising 12 doctoral students. He has provided numerous methodological and biostatistical consultations to graduate students and clinical researchers. As of 2015, Dr Rampal has published 67 peer reviewed research papers, of which 53 are ISI indexed, and has an h-index of 15 with 3000+ citations. Dr Rampal is the chairman for the Public Health Society, Malaysian Medical Association, and is a member of various international associations such as International Epidemiology Association, American Heart Association/American Stroke Association, Society for Epidemiology Research. 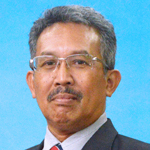 He is a Fellow of the Academy of Medicine Malaysia and was the past honorary secretary for the College of Public Health Medicine from 2006-2009. 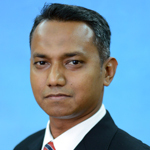 He is also the current State Medical Officer for Malaysian Red Crescent Society WP Putrajaya. 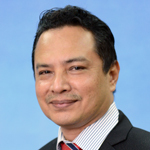 Professor Dr Wan Azman Bin Wan Ahmad is affiliated to numerous international and national professional boards in his areas of expertise which includes cardiology and internal medicine. Recent publications include the Effect of Clopidogrel Added to aspirin in Patients with Atrial Fibrillation, The ACTIVE Investigators in the New England Journal of Medicine, and Underutilization of Angiotensin Converting Enzyme Inhibitors Among Heart Failure Patients in the Medical Journal of Malaysia. Areas of research includes the Detection of Familial Hypercholesterolemia gene mutation amongst the Malaysian population and Prognostic markers in Newly diagnosed hypertensive and Diabetics in collaboration with the Ministry Of Science, Technology, and Innovation. He has also served as a consultant on several projects in his areas of expertise as well as developed the Islamic perspective of Medicine. 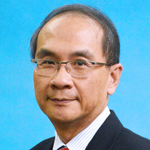 Professor Dr Goh Khean Jin is leading authority in the field of neurosciences, and is affiliated with numerous professional bodies including being the Chairman of the Clinical Neurophysiology Section, Malaysian Society of Neurosciences. He started his medical career as Graduate Medical Officer at the Medical Unit 1, Singapore General Hospital in 1988. His areas of expertise include clinical neurology, internal medicine, clinical neurophysiology (electromyography, electroencephalography, evoked potential studies, clinical electrophysiology ), neuromuscular disorders (neuropathy, myopathy, neuromuscular junction disease) and botox therapy. He has contributed to various books and medical journals both national and international publications. His awards include : 7th Royal College of Physicians, London and Academy of Medicine of Malaysia Award for Research in Malaysia, Royal College of Physicians, London and Academy of Medicine of Malaysia, 2001, (National); Anugerah Khidmat Prestasi Cermerlang, Universiti Malaya, 1999; Certificate of Merit for the Discovery of Nipah Virus, Universiti Malaya, 1999, (University); Mahathir Science Award , Academy of Science, Malaysia, 2006, (International); and the Most Cited Paper Award for his work on "Fatal encephalitis due to a new paramyxovirus among pig-farmers in Malaysia," as well as the Merdeka Award in Health Science and Technology, The Merdeka Award Trust, 2008. In terms of contribution to society, he has also served as a medical advisor to the National Stroke Association of Malaysia. 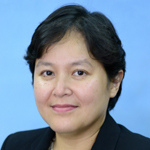 Associate Professor Dr Ida Normiha Binti Hilmi began her career with the Gartnavel and Western Infirmary in Scotland, and has also served with the Glasgow Royal Infirmary, Oxford Radcliffe Hospital, Addenbrooke's Hospital, Norfolk and Norwich Hospital, Southend Hospital and Homerton Hospital. Her area of expertise is gastroenterology. 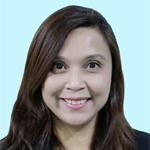 She is a member of Asia Pacific Working Group on the Diagnosis and Management of Ulcerative Colitis, Asia Pacific Working Group on Colorectal Cancer, Parenteral and Enteral Nutrition Society of Malaysia, Academy of Medicine, Malaysian Society of Gastroenterology and Hepatology, and Royal College of Physicians. Recent publications include contributions to J Dig Dis, Gut Pathogens, and Helicobacter. 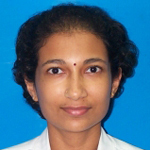 She is an active researcher and has won numerous awards including the Best Oral Presentation for East Anglia GUT meeting, East Anglia Deanery, in 2001; the Hunter's Prize in Biochemistry, University of Glasgow, in 1996; the Margaret Isabel Ure Prize in Medicine and Surgery , University of Glasgow, in 1997, and noted for her poster presentation of NOD2/CARD15 mutations in Malaysian patients with Crohn's Disease at the Falk Symposium Scientific Committee, in 2006. She is also a regular on the speaker circuit. Assoc Prof Dr Mohd Idzwan bin Zakaria was born in Maternity Hospital Kuala Lumpur, then called, on the afternoon of 5th July 1970. Both his parents were public servants from the "kampungs" working in a busy city. Due to their work commitments, AP Dr Idzwan has to move from one town to the other. 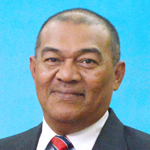 He was brought up mainly in Ipoh from 1975 until 1985. He started his primary school in 1977 in St. Michael's Institution Ipoh in which he was there until he completed his lower secondary school examination, then called "SRP". He then continued his study in Sekolah Menengah Sains Teluk Intan (Teluk Intan Science Secondary School). Upon completion his higher secondary school examination called "SPM" at that time, he pursued his study in Basic Science Centre, University of Malaya. After two years, the Public Service Department of Malaysia has sent him with a full scholarship to then called University College Galway Ireland, now known as National University Ireland Galway NUIG to pursue his dream of becoming a doctor. After six years in Ireland, being a patriotic person that he is, AP Dr Idzwan came back to serve the people of Malaysia in July of 1996. He did his housemanship in Ipoh General Hospital in early 1997 and then as a district medical officer in Parit Buntar Hospital for 4 years. he then pursued his ambition to become an emergency physician in University Sains Malaysia Health Campus, Kota Bharu, Kelantan. 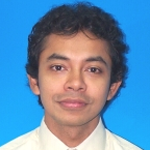 He continued as a lecturer in emergency medicine in USM in 2004 and later moved to University of Malaya in 2007. He started his medical career about eleven years ago after graduating from University of Malaya in 2003. He then pursued Master in Public Health (MPH) in 2008 and 2013 has marked a great achievement for him as he was conferred with Doctor of Public Health (DrPH) degree with focus on Occupational Health . Dr Marzuqqqqqqqqqqqqqqqqqqqqqqqqqqqqki Isahak is Medical Lecturer in the Occupational and Environmental Health unit. 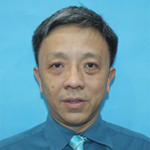 He teaches Occupational and Environmental Health to undergraduates and postgraduates students in Faculty of Medicine and Faculty of Engineering, University of Malaya. 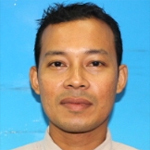 In 2013, Dr Marzuki supervised one PhD student, one DrPH student, five master candidates and was also appointed as the academic advisor to 10 M.B., B.S. students. In clinical services, he was credentialed as a Public Health Physician by University Malaya Medical Centre (UMMC) and registered as Occupational Health Doctor in Department of Occupational Safety and Health (DOSH), Ministry of Human Resource Malaysia. He is currently practising in the Occupational Medicine Clinic in UMMC. He also serves as Deputy Chairman in Society of Occupational and Environmental Medicine- Malaysian Medical Association (SOEM-MMA) for the term 2013/2014.